Home Analysis Is it a good time to trade stocks of listed FX Brokers? Is it a good time to trade stocks of listed FX Brokers? While most of us are keen on trading currencies and CFDs online, it rarely comes to our mind that we can actually trade the stocks of the FX brokers. Today there is over a dozen of large retail Forex brokerages listed on various European and US exchanges and today we will take a look at the major FX brokerage stock prices and come up with predictions and forecasts. As reported by Casinopånett.eu – Markets.com is a brokerage that belongs to Safecap Investments Limited. In its turn, Safecap Investments is a part of TradeTech, a financial division of a larger company called Playtech. While Playtech is a company that mostly deals with providing the technology to various online and offline gambling operators, it has been steadily increasing its exposure to the retail and institution FX sectors by acquiring a number of the leading brokers and technology suppliers. Its main retail FX brand is Markets.com and it is certain that the performance of Playtech’s financial division has an impact on the Playtech’s share price. 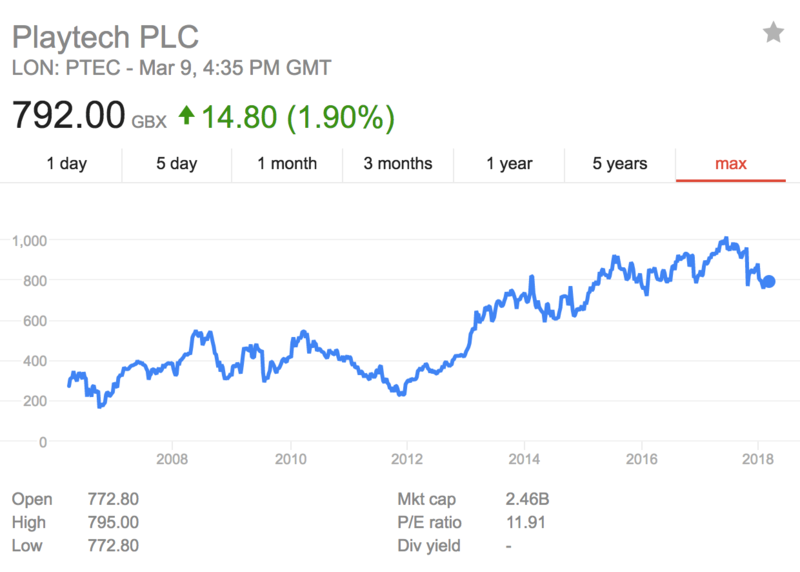 Since the year 2012, the share price of Playtech has been growing yet lately the price has been going down. However, we currently believe that Playtech is a good buy for the long-term traders. First of all, Playtech management believes in the company’s growth as it has previously announced the share buyback program. Next to this, the iGaming market as well as the retail FX sector still requires a technological advancement, and this is where Playtech can be very useful with its TradeTech division. Plus500 is, perhaps, one of the most successful brokers out there in terms of attracting investments and growing its share price. While most of the professional traders are not likely to opt-in for this company due to the simplicity (and the lack of functionality) of the trading software and rather high trading costs, the company specializes in attracting the traders looking for a less complex environment. 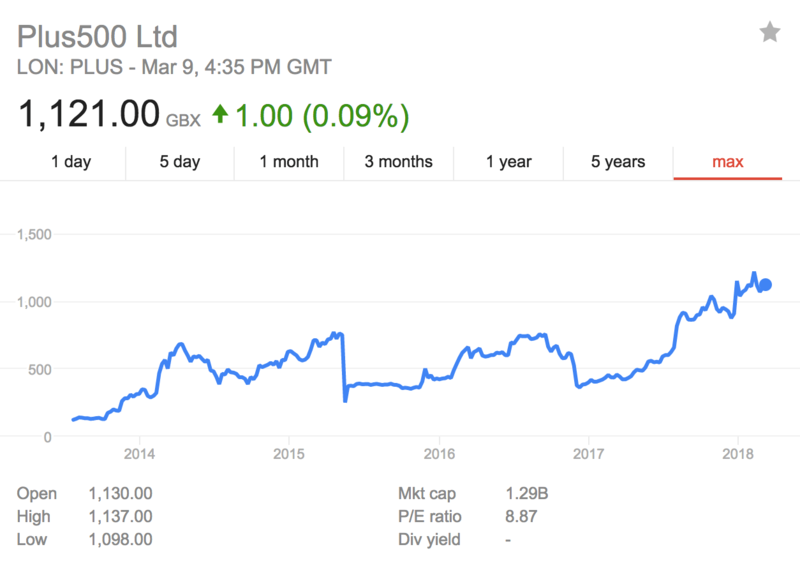 While Plus500 had its ups and downs, the overall trend is upward as the company is constantly increasing the number of its active clients and the revenues. Secondly, unlike most of the retail FX brokers, Plus500 managed to grow without adding much to its fixed costs. Today the company employs around 50 employees in its Tel-Aviv office, while most of the brokerages of the same size employ anywhere between 200 and 500 people. Even though XTB is not one of the largest FX brokers, it is certainly an interesting case to look at. 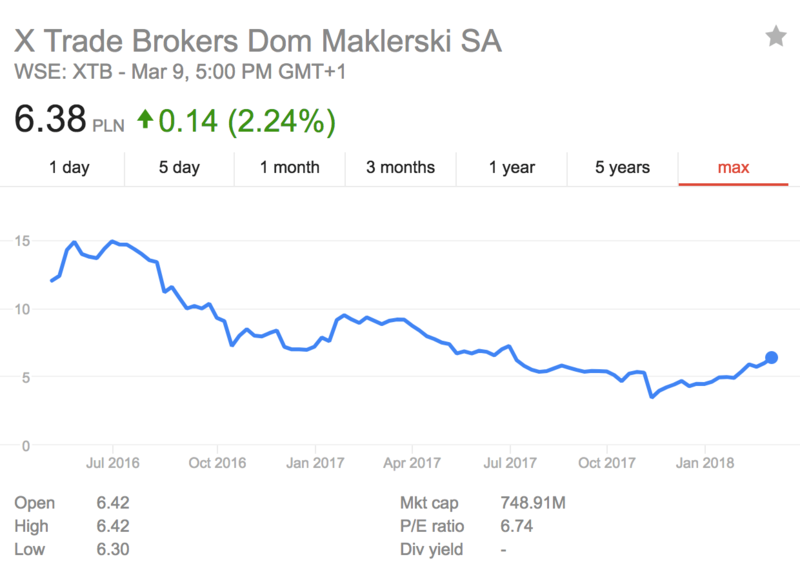 The company went public in May 2016 and by now the price of its share is nearly twice as less. Next to this, in the previous year the company has faced some issues that even led to the suspension of trading. However, XTB still holds strong positions in the Eastern and Southern Europe as well as expands into Latin America. Next to this, it also sells its trading technology under xOpenHub brand. While it may not necessarily reach its IPO price anytime soon, it does seem like the stock is set to grow.